Deverndra Sharnagat, who currently serves as SVP of Analytics and Customer Value Management at Kotak Mahindra Bank, has been associated with the bank since 2012. His role is primarily focused on harnessing big data in order to gain useful analytical insights and operational intelligence to drive an effective business strategy. He’s also responsible for driving the next generation digital vision for bank through analytical interventions. His key specialities are in the areas of strategic planning, business case creation, change management, statistical modelling, data mining, portfolio management, amongst others. Prior to Kotak, he was with HDFC Bank as Vertical head for Marketing analytics and Campaign operations. In his 8 years long stint with bank, he has been instrumental in leading many transformational strategic analytics initiatives. Prior to HDFC, Devendra was involved in analytical consultancy and project management assignments. His professional qualification includes a bachelor’s degree in Chemical Engineering from ICT (formerly UDCT), Mumbai and Masters in Management Studies (MMS) from Sydenham Institute of Management, Mumbai. 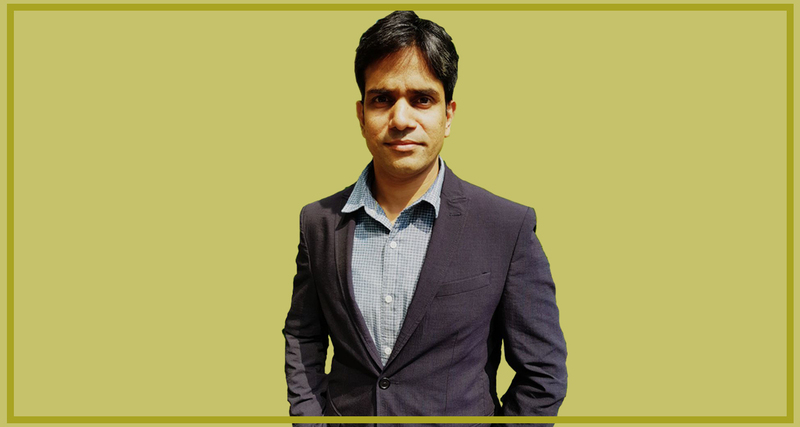 Analytics India Magazine caught up with Sharnagat to get a peak into his analytics journey so far, his key contributions in analytics at Kotak, challenges in the industry, and much more. Analytics India Magazine: How has been your analytics journey so far? What are some of the analytics solutions that you have worked on? Devendra Sharnagat: I have been associated with analytics for over 15 years, during which time I have worked on both sides of the business. I started my career in Analytics in the business development space, much like sales in FMCG. However, the bulk of my experience has been in the banking analytics domain. My experience, thereby, ranges across banking operations from typical customer lifecycle interventions (acquisition, activation, up-sell, cross-sell, value enhancement, retention, win back), enhancing operational efficiencies (collections, human resources, asset reconstruction, etc.) and risk mitigation (credit risk, fraud). Some projects that I have enjoyed working on in recent times at Kotak include omni-channel recommendation engine, an instant lending solution for retail banking customers, as well as a fraud detection analytical solution. AIM: What have been your key contributions in the analytics and big data strategy at Kotak Mahindra? DS: I have been working with Kotak Mahindra Bank for over five years. During this time, the analytics team has grown from a handful of statistics graduates to a fairly evolved team comprising 100+ data scientists with strengths across various disciplines in data and analytics. The Analytics unit is now a Centre of Excellence for the entire bank. Right from the beginning we ensured that Analytics contributes significantly to each and every business it is engaged with. Every investment in analytics infrastructure and set-up has a clear measurable metric. The analytics team supports more than 20 business lines and departments in the bank and delivers over 800 projects in a year. Big data is a very important part of our analytics strategy. We forayed into big data last year with a focus on real time analytics, mining unstructured data and harnessing open source machine learning and deep learning resources. Most of the use cases designed for Hadoop cuts across these capabilities. While we are live in parts, our target is to go live with a full stack in a couple of months, with many more complex real time use cases. AIM: Would you like to highlight few use cases on how analytics has benefitted your organization? DS: At Kotak Mahindra Bank, we have incorporated analytics as a KRA of our frontline staff. The frontline staff is supported by daily analytics recommendations to deepen their relationship with the customer. Dedicated teams to fulfill leads generated through analytics interventions, and business conversions on analytics-led recommendations are significantly higher as compared to unplanned customer interactions. Another area where we have been able to get significant traction is customer onboarding and activation. The first 60-90 days are very crucial in the customer engagement lifecycle for the bank. However, the bank’s knowledge of the customer’s transaction behavior during this period is limited. With the help of analytics, we have been able to integrate customer journeys across many products through design of persona-led customer lifecycle with analytics recommendations based on customer profile using look alike models. This has resulted in positive results on important customer metrics post implementation of this strategy. We are further enhancing this by using alternate data and machine learning algorithms with customer approval. Analytics support for control functions like collections have been significant. Right from prioritisation to allocation, logics are challenged and reworked using analytics recommendations. Given the operational cost and customer sensitivity, it is very important to be precise as well as comprehensive in approach. We have been able to sharpen our solutions and improve recovery significantly over the years. AIM: How extensively is AI and chatbot being adopted at Kotak Mahindra? What are the key benefits that you foresee? DS: We embarked on the AI and Chatbot journey a year back. We are working on multiple use cases, individually and in-tandem, using the power of Machine Learning, NLP and AI. There are interesting applications of chat and voice bots that will help us augment customer serviceability and provide significant impetus to the end customer experience. While most of these applications are nearing completion, we have already gone live with one such application that’s built to empower quick business decisioning using an AI based interface powered by Machine Learning and Natural Language Processing. This is a chat bot solution to derive superior insight and timely managerial intervention, as an executive assistance for senior management. The Bot is capable of receiving text based instructions and responds with most relevant analytics within seconds. Queries can be sent to the Bot over email or directly on the dashboard link of the software. Executives keying in their queries will instantly get relevant stats in a graph or tabular form over email or dashboard console. Further, it not only answers your latest query but also suggests associated stats. AIM: Talking on a general note, how has been the adoption of analytics and artificial intelligence in the banking and insurance industry, especially in India? How has it benefited the banking sector? DS: The adoption of analytics has picked up significantly over the last decade in India. Unlike other sectors, the emergence of captive analytics units is very specific to banking. Most of the leading private sector banks started investing in analytics, with leaders getting into the game as early as 2000-2001. Appreciation of big data and AI seems much more widespread now. With more organisations open to cloud-based technologies, barriers for experimentation are diminishing and appetite for small budget lab prototypes is going up. These are good signs as analytics has the potential to galvanise efficiencies across functions. AIM: What are your goals for analytics and AI at Kotak Mahindra for the year 2018? DS: Our goal is not very different from that of the industry as a whole. To make timely and most informed decisions, we support all digital platforms with real time intelligence using most precise scientific applications. We have lined-up a few projects from enhancement of customer experience across touchpoints, automation of risk controls across all lending products to drive process efficiencies. Our focus is on harnessing the big data platform and reaping benefits of a comprehensive integrated data platform. AIM: What are the major challenges/ roadblocks you see in analytics adoption? DS: The challenges vary from business to business and department to department. Analytics is becoming very technology intensive with platforms evolving at a rapid pace. With rising technology demands, organisations are making heavy investments while tightening operational costs. While there are multiple proven cases on analytics investments leading to significant ROIs, there is always a lead time to technology based drives. Investment in analytics is going up and organisations are demanding a clear and unambiguous business (ROI) plan from analytics. Analytics leaders across the BFSI sector will have to adapt to this business lingo much faster to keep pace with rapidly moving digital adoption. The biggest bottleneck for most organisations is the appropriate classification of Analytics as a profit centre as against a cost centre. Another significant challenge is to ensure that analytics earmark meaningful budget for experimentation and R&D. Analytics needs to continuously keep mining and work towards winning ideas and this can only be achieved by concentrated R&D efforts. While analytics seems to have caught the fancy of management, the next big challenge is to make its presence felt in the boardroom by establishing itself as the key driving force for major management decisions. AIM: What are the recent job openings in analytics at Kotak and what are the skillsets you look for? DS: We are constantly on the lookout for bright analytics professionals with skill sets across data science, statistics, analytics consulting and big data expertise. While BFSI exposure is a plus, it is not a must as we also welcome analysts with varied industry exposure and believe that it will add more all-round perspective to consumer analytics. AIM: What are the trends you see emerging in the space? DS: These are trends I see emerging in analytics space. Data Enrichment: Data is the raw material for analytics. Getting to know more about your customers as well as prospects is very important. It is crucial to capture customer data at the time of acquisition and also to continue to gather and store additional data as we progress through the customer lifecycle. While there are attempts to get alternate data through other sources, there are stricter regulations. Therefore, accumulation and enrichment of primary data should never go out of focus. Customer research and data fusion for surrogates should be done more often. Artificial Intelligence: Use of AI for external as well as internal customers is going to get much more prominent for richer customer experience and instant decisioning. This will free up analytics bandwidth from business-as-usual to new experimentation. Analytics bots will be big and may lead to much leaner captive analytics units in the coming years. Hybrid analytics: The emergence of hybrid analytics structures embedded in business and support units is the next logical step. This will bring higher adoption and ownership of analytics and will result in real analytics driven organisations. Adoption of cloud and open source technologies: As business budgets continue to grow, it will be practically impossible for organisations to commit more capital expenditure. This will naturally lead to easy adoption of cloud and SaaS (Software as a Service). There is massive pressure on licensing, which will lead to swifter adoption of open source technologies. This also means significant demand for skilled resources for adoption of both, SaaS and open source. Blurring Boundaries: With advances in analytics technology and no clear boundaries between statistics, data science and technology, hiring the right people is going to be a challenge. Initiatives like non-standard customised training programs and partnerships with tech start-ups will be more common. There will be a clear transition from captive heavy to evenly balanced partnership led analytics set-ups.